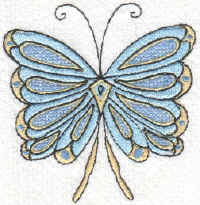 These are not your average butterflies! 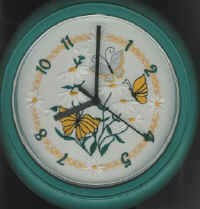 With this collection, you will receive 10 unique butterflies for your 4" hoops (approx. 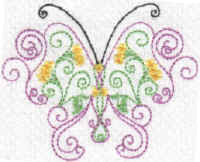 3.5" each) plus 3 floral/butterfly designs sized for both the 4" and 5"x7" hoops. 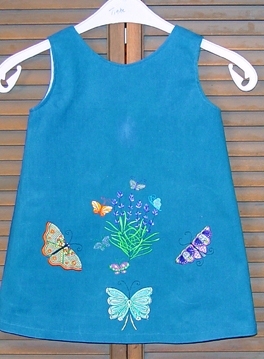 The price of this collection is $45. These designs also available as singles for $7 each. 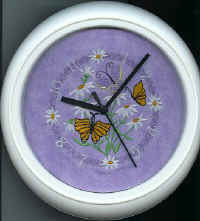 See Ordering Info page for instructions. 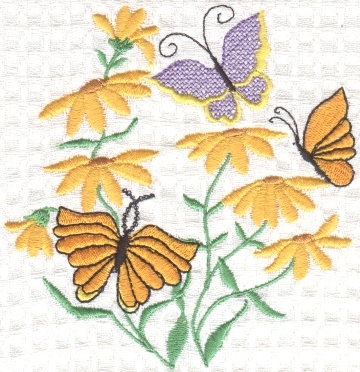 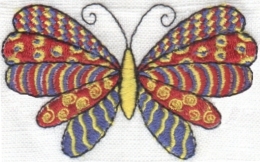 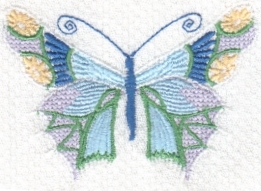 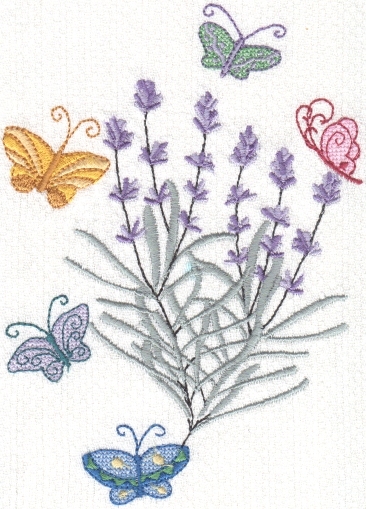 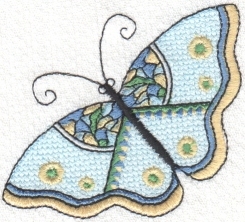 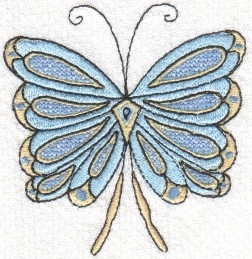 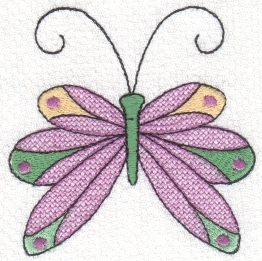 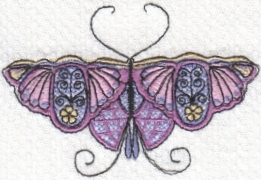 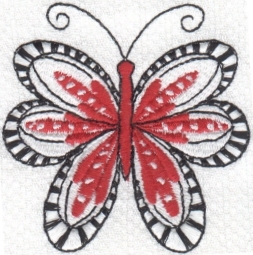 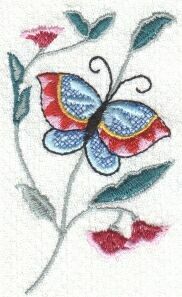 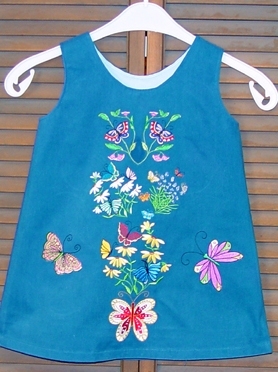 Be sure to check out the redwork version of these beautiful butterflies! 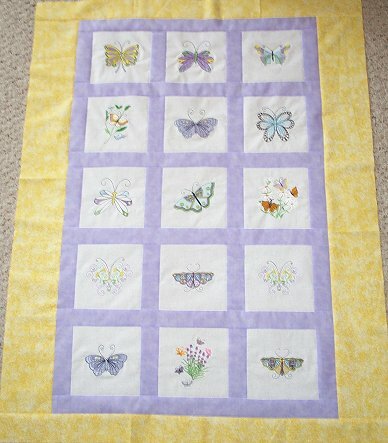 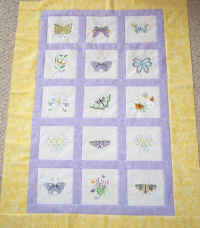 5 Mini Butterflies in 2 Sizes!